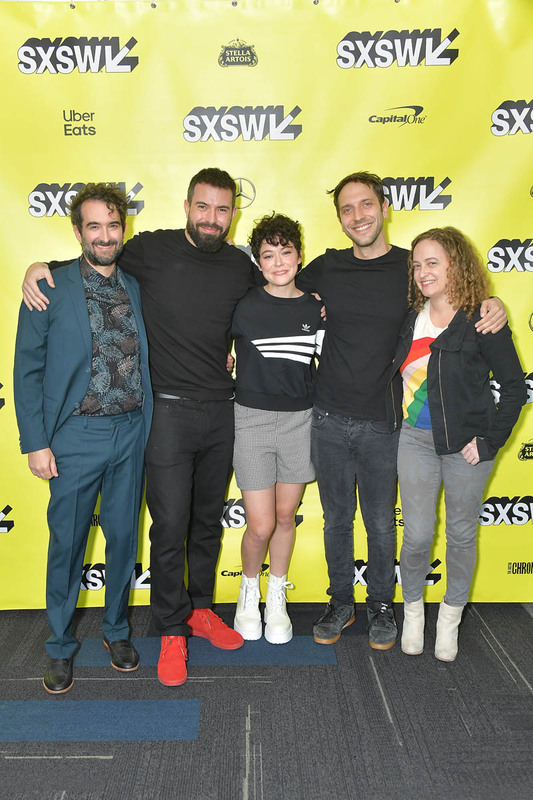 Tatiana Maslany and her partner of eight years, Tom Cullen, have been in Austin for the past few days for the debut of their latest collaboration, the romantic drama Pink Wall. It's a searing, non-linear portrayal of a relationship between Jenna (Tatiana) and Leon (Jay Duplass) over six years - from meet-cute to uncertain fizzle. It's intimate, and shockingly good. I say "shockingly" not because it's Tom's first feature behind the camera, but because it's a bit of a little miracle. The shoot lasted for nine days (because they lost a day to rain). The budget? 100,000 pounds. Jay's facial hair logistics alone (in Year One, he has a moustache, and then there's increasing gradients of beard) must have been a nightmare to configure!! Tom wrote and directed the project, and only appears on-screen for a brief cameo. He said his mom, dad, and sister are all in the film, and that it was a real labour of love. But it's definitely not a vanity project; it's a showcase of Tatiana's talent, and Tom and Jay's skills. We first meet Jenna and Leon in Year Four (each marking of time is identified through a title card). They're deep into their relationship then, and they're in the middle of telling a funny story over drinks with her family. The camera stays on them the whole time, like a microscope focusing on the intricacies of their dynamic, "inside jokes" (which you soon find out veer more toward "off-side jokes," and personalities. Right away, it's clear she's an achiever, while he's more laid back. Yin and yang. When her brother makes an insulting comment, and she tells him off, the shot allows the audience to see Leon cringe and watch him react. What started off as boisterous, charming bar banter soon devolves into a fight between Leon and Jenna outside. Whether it's Tom or Tatiana (also a producer on the film), they have a knack for writing biting, punchy dialogue that sounds like how people talk. Leon asks: "Am I on trial? Can I have a lawyer?" in the middle of their fight, which breaks her. They laugh about it, and move on. They're able to, and it's one of their "things." "I don't like me either." "I don't like myself either, I don't know what the f--k we're doing!" As the jumps continue backwards and forwards through the course of their relationship, you start to see some cracks in their foundation, and learn why she gets to a point where she would say something like "I don't want to make myself small for you so you don't feel f--king insecure." But the love between them is always there. Tom also has a great eye. 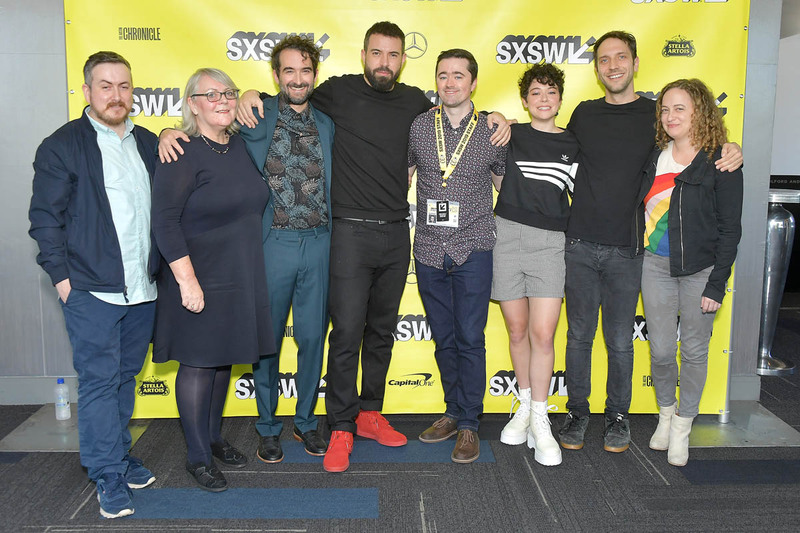 The film switches up its aspect ratios to indicate changes in time (not unlike Homecoming, or Xavier Dolan's Mommy), and often adjusts the focus on the shot to shift between Leon and Jenna. Then there are moments where you only see him, or you only see her when they're together. It gives the film even more intimacy, Closer-esque, through a kaleidoscope of time. 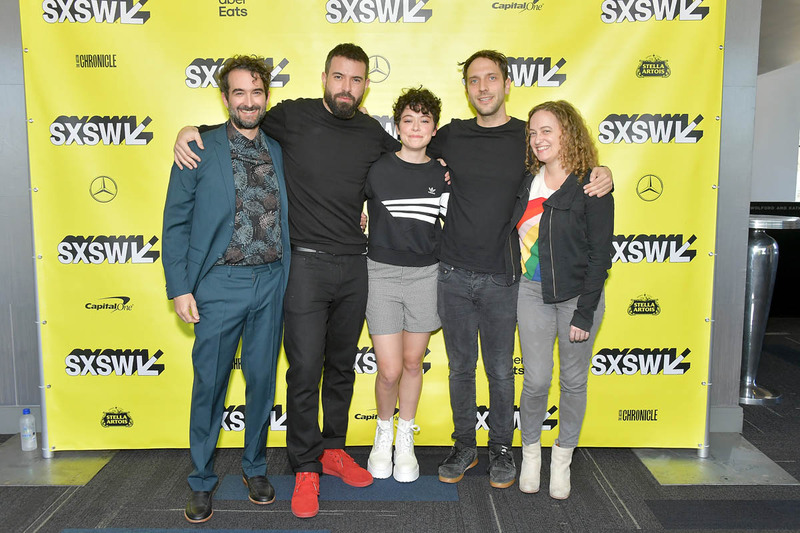 Together, Tatiana, Tom and Jay made a movie worthy of the Duplass-style ouevre. It'll make your heart fall to the floor, and make you remember the electricity of those early flirty memories at the same time, not unlike Like, Crazy. At the Q and A, Tom talked about the movie's structure, and said that we don't remember or look at our relationships in a linear way. But it's not like he's examining Jenna and Leon's highlight reel through rose-coloured lenses either. Tom said he wanted to explore the successes and failures of a relationship, inspired by his own. Speaking about Tatiana, he opened up about how when you're dating and your partner experiences success, it can be challenging and you have to learn to evolve and grow with the person and communicate. Meanwhile, she said she loved the ideas Tom had for her character, and how he wanted to explore the complexity of the women in his life. Beyond their relationship, she said she believed so much in his vision, trusted his talent in terms of intimacy, and had "no reason not to do the movie." 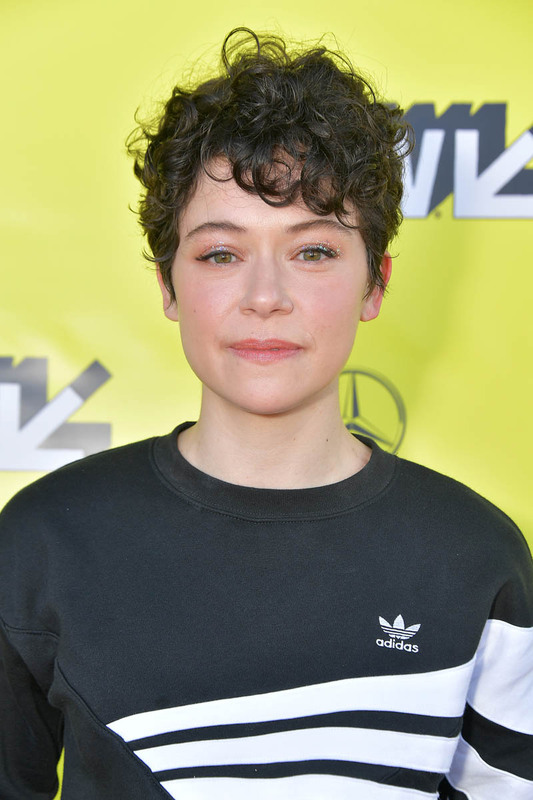 This year will be the first time since 2014 that Tatiana will not be nominated for (or win) a Canadian Screen Award for Orphan Black, which aired its final season a year and a half ago. 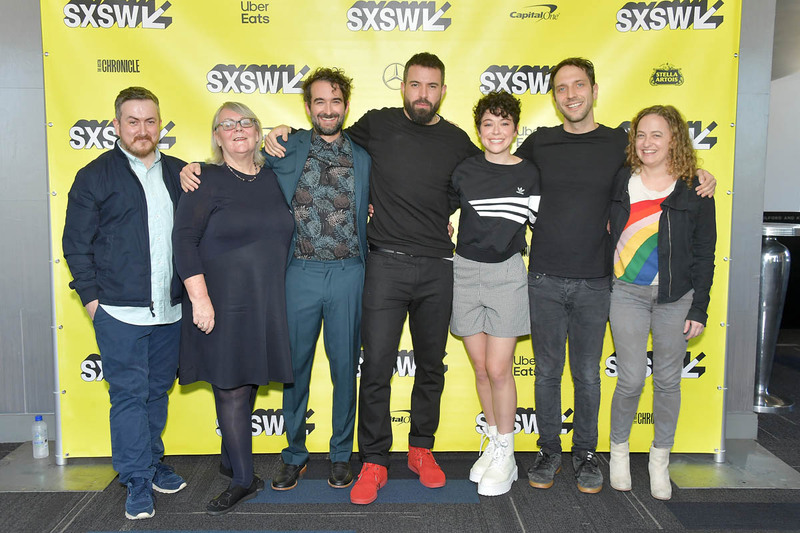 She went five for five in the Best Actress - TV Drama race, and also won for producing the show, and for her acting in the film The Other Half, opposite Tom, which also premiered at SXSW in 2016. Oh yeah, and she won an Emmy for Orphan Black too. But as amazing as her work always is, she continues to do some of her best work with Tom by her side. After Austin, it's back to New York for her, as she continues her run in Network on Broadway opposite Bryan Cranston. The show is wicked, super interactive (they go out into the street! There's a bar on stage!) and she's playing the Faye Dunaway part. I saw it back in November, when it was in previews. She killed it. Could a Tony be within grasp? Network got extended through June, and I believe Pink Wall is a sales title. It has Indie Spirits written all over it. Whichever studio buys it... will it be somebody who catches it in Austin, or will it be somebody who's seen her on Broadway? Or both? Either way, it would be a blazing hot pickup.